"BURJ DUBAY" LA TORRE MAS ALTA DEL MUNDO!!!!!! 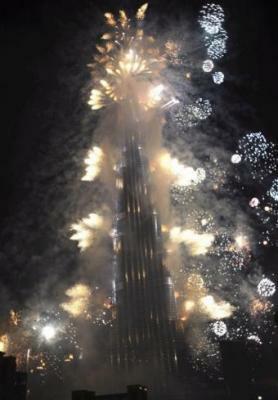 DESDE EL LUNES 04 DE ENERO DEL 2010, LA TORRE JALIFA EN DUBAI,OSTENTA EL TITULO DEL EDIFICIO MÁS ALTO DEL MUNDO AL OFICIALIZARSE SU ALTURA EN 828 METROS. CON 192 PISOS, EL INMUEBLE COSTO $1.500 MILLONES, Y EL TRABAJO DURANTE SEIS AÑOS, DE 12.000 OBREROS, Y 7.500 INGENIEROS Y VARIAS COMPAÑIAS DE CONSTRUCCIÓN DE TODO EL MUNDO. DESDE SUS INICIOS FUE CONOCIDO COMO EL BURJ DUBAY,QUE SIGNIFICA TORRE DUBAY EN ARABE,PERO FUE CAMBIADO DE NOMBRE DURANTE SU INAGURACIÓN OFICILA A TORRE JALIFA, EN HONOR AL PRESIDENTE DE LOS EMIRATOS ARABES UNIDOS,EL JEQUE JALIFA BIN SAYED AL NAHYAN. SCARLETT JOHANSSON SE SUBASTA A SI MISMA PARA AYUDAR A HAITI!!!!!!!!! JUANES Y SHAKIRA CANTARAN EN LA APERTURA DEL MUNDIAL DE FUTBOL!!!!!! BEYONCÉ ROMPE RECORD EN LOS GRAMMY !!!!!!!!!!!!! ← JUAN CARLOS GARCIA, GALAN VENEZOLANO!!!!!!!!! !